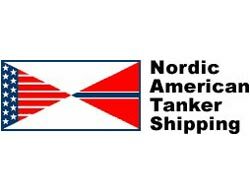 New York-listed Nordic American Tanker Shipping Ltd (NAT) has announced net proceeds of some $107.5 million from its most recent share offering. NAT had last week announced a public offering of three million of its common shares at $32.50 per share to ?fund further acquisitions under planning?. The underwriters were also given a 30-day option to purchase up to 450,000 additional shares to cover over-allotments. ?The underwriters have exercised in full the over-allotment option granted to them by the company and have purchased an additional 450,000 common shares on the same terms on which the 3,000,000 common shares were sold to the underwriters,? said NAT on Wednesday. ?In our view, the present markets offer attractive opportunities to increase the company's fleet further. Because of the financial turmoil internationally, ship values have been reduced,? said chairman and CEO Herbjørn Hansson in a press release. ?We believe that our past acquisitions have been accretive, that is, after acquisitions our dividend and earnings per share have been higher than under a scenario where such acquisitions had not taken place. ?We announced an agreement to buy a double-hull suezmax tanker earlier this week, which is expected to be financed with funds that were available to the company before this offering,? Hansson added. NAT earlier last week announced the $56.7-million acquisition of a double-hulled suezmax, slated for delivery no later than March 15. NAT apparently has no net debt at present and an unused credit line of $500 million. ?The acquisition is expected to be financed from out of the company's financial resources,? said a press release regarding the suezmax acquisition. This acquisition ups NAT's fleet to 15 double-hulled suezmaxes, including two previously announced newbuildings the company had agreed to acquire. These newbuildings are expected to be delivered by the end of 2009 and by the end of April 2010 respectively. Meanwhile, CEO Hansson has said that NAT expects the offering of three million shares to ?strengthen the company's equity base and increase the company's capacity to make further acquisitions. ?